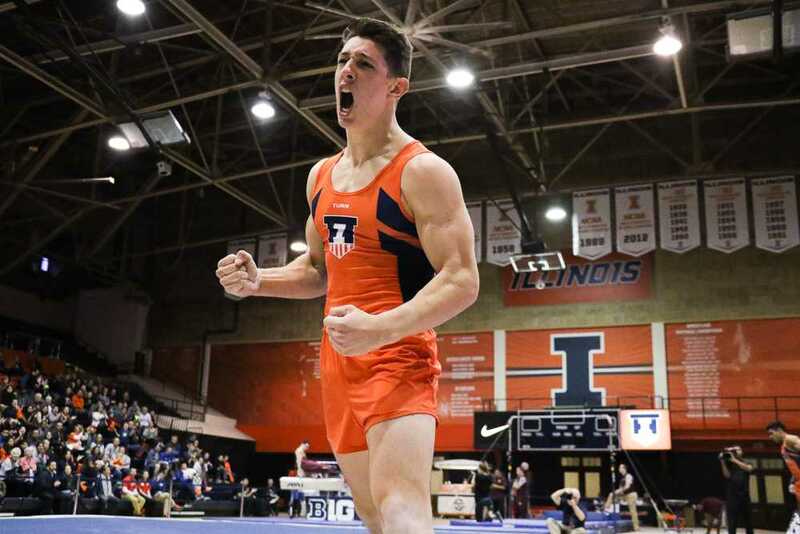 Sebastian Quiana celebrates after a strong performance on the floor in the meet against Minnesota on Jan. 28. 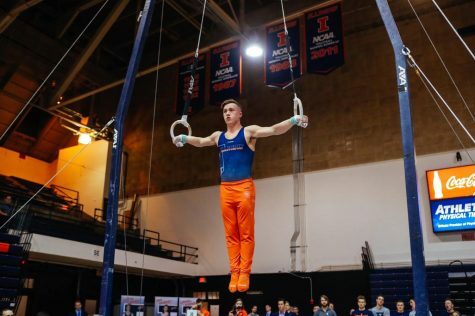 The Big Ten announced Wednesday that Illinois men’s gymnast Sebastian Quiana is the Big Ten Freshman of the Week. The award follows Quiana’s performance at the Puerto Rico Gymnastics Challenge last weekend. 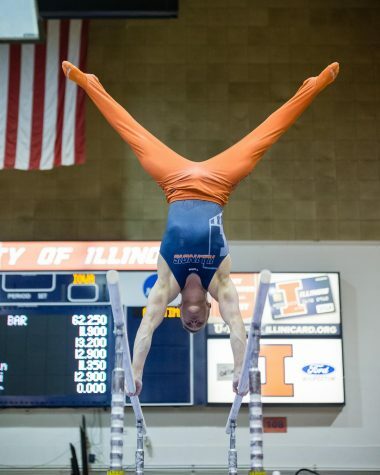 He earned the highest floor total out of all freshmen in the country this season, putting up a 14.750. 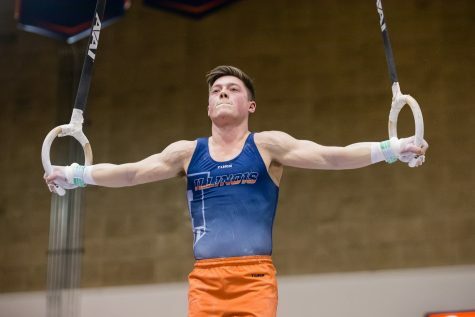 The score was a career-best for the four-time Junior Olympics National qualifier. Sophomore teammate Alex Diab put up a season-best 15.000 to take the title. Quiana also competed in the parallel bars for the first time this season, posting a 12.500. 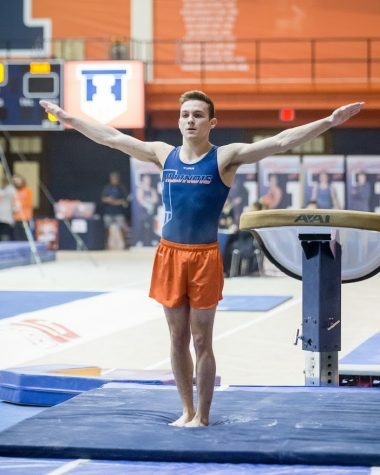 The Illini totaled a season-best 71.750 on floor, helping them take a comfortable lead and eventually winning the Challenge. 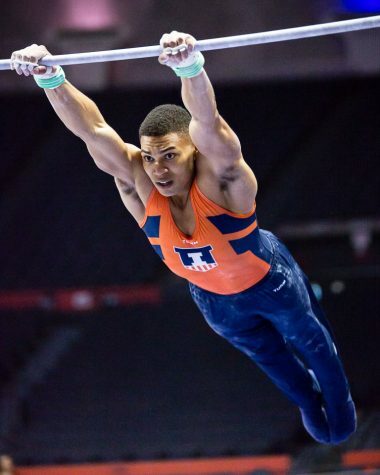 Quiana is not the only Illini men’s gymnast to garner an award from the conference this season. 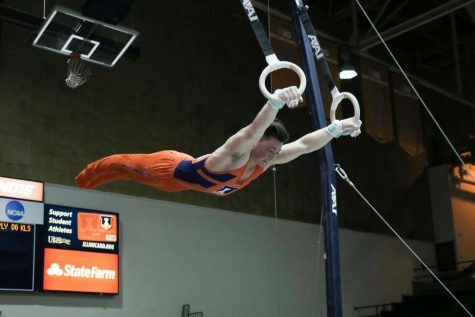 Sophomore Alex Diab was named Big Ten Gymnast of the Week on Jan. 30 after his all-around performance against Minnesota. 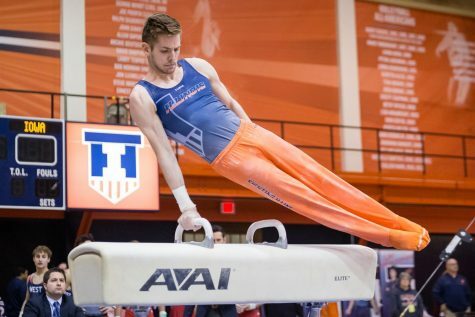 The team is next in action this weekend when it travels to Ann Arbor, Michigan, to take on Michigan and Stanford.